Brad Jones Racing is set to revive one of its most successful cars as it counts the cost of an incident filled race weekend in Tasmania. 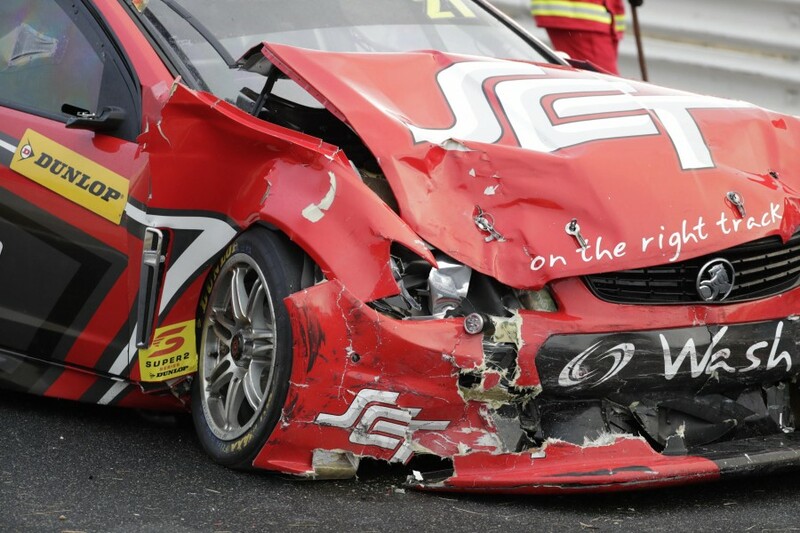 The team’s three Virgin Australia Australia Supercars Championship cars were damaged in Saturday’s 12 car pile-up while Jack Smith and Macauley Jones were both ruled out for the Dunlop Super2 Series round after crashing in the second race earlier that day. 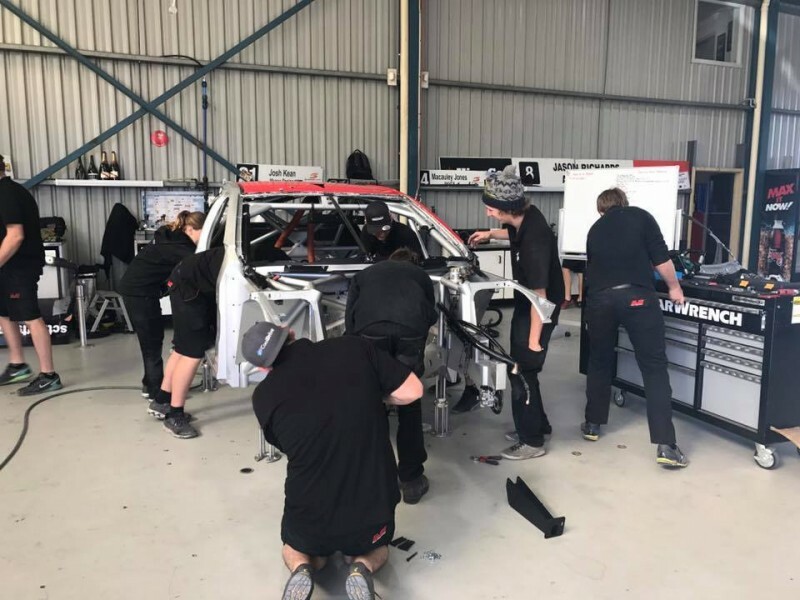 Smith's car was transported home early in the Tekno Autosports transporter and has already been deemed too badly damaged to repair in time for the WD-40 Phillip Island 500. 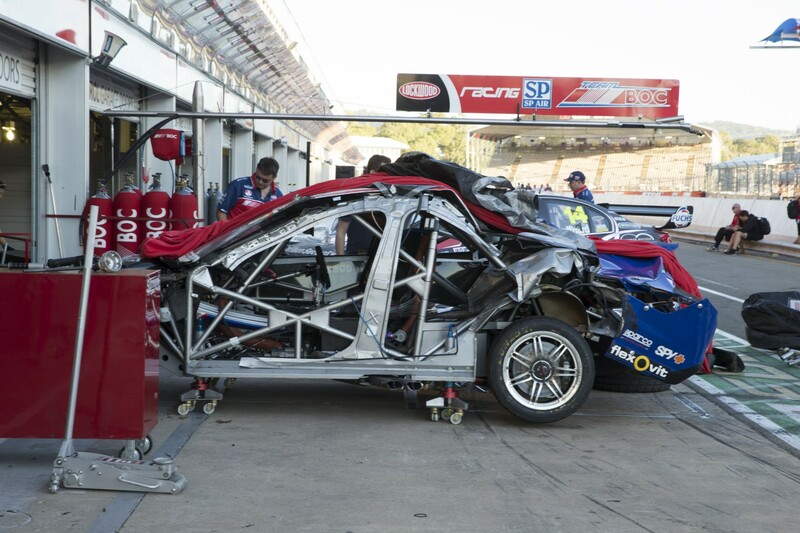 He will instead revert to the team's first Next Generation chassis, which was driven by Jason Bright in 2013, winning two races and the Jason Richards Memorial Trophy before a major accident at the 2014 Clipsal 500 forced the team to shelve the car. After an off-season rebuild to be the team’s spare, chassis 001 will be given a racing resurrection. “It was bad enough we could never repair it in a quick turnaround from Adelaide that particular year. “We cut some bars out to see what it was like and it was not as badly damaged as we first thought. “So, we repaired it over the summer when it was a little bit quieter and it came out really well. “We’ve repaired it, had it painted and had it in the workshop in storage. While the team is awaiting the complete return of its six Next Generation cars, Jones added the status of Macauley’s Jones’ heavily damaged Super2 car is still to be completely known while Smith’s may be salvageable. “We’ve got to evaluate it further,” he added of Smith's Super2 chassis. “It’s the only car that’s home. Right now there’s no way we can repair it in time for the weekend. “Now it’s stripped off it’ll go straight down to the fab shop and we’ll start cutting it apart and see exactly where we are with that chassis. The Tasmanian races marked an expensive month for the Albury squad following Nick Percat’s high-speed accident at the Australian Grand Prix after his brakes failed. “I need to sit down and work out how much stuff has been torn up. But it’s a lot,” Jones continued. “We’re just flat out ordering stuff, working on cars and car #8 and #14 from the VCS arrived home. “They’ve got some nicks and bumps on them from Saturday still. They were running alright on Sunday. “We need to see what needs replacing in them and I think if they’re okay, we’ll probably take them to Phillip Island the way they are, in terms of not putting any new bars in the chassis. Jones added the tight turnaround between the Symmons Plains and Phillip Island rounds is something to consider for Super2 teams next season given the damage from the races. “I understand why we went to Tasmania, being part of that decision making process,” he concluded. “But there’s always the concern if you had to turn a car around quickly, would a Super2 team be capable of doing it in that short space of time? “We’ll find out in a couple of days. We’re not a normal Super2 team, but I think it may be hard.